Todd Falkowsky of Motherbrand in Toronto approached me to design a … a … well, see, there’s this machine that squishes pennies, just like we used to do on the railroad tracks when we were kids (only it’s safer) and it has the ability to impress a new image into the penny, turning the penny into an oval copper thing. 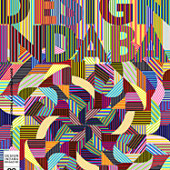 So Todd wanted to get 4 designers (me +Douglas Coupland, Burton Kramer and Paul Butler) to make designs for this machine, and then set the machine out somewhere and give the proceeds (I think it costs $2, plus the penny) to an art studio for street youth. I just liked the idea of squishing pennies … though, isn’t there a law against this? Doesn’t it come under “defacing the queen” or something? Anyway, So I thought about what one might conceivably want to have on a copper thing that might mingle with your change in your pocket. 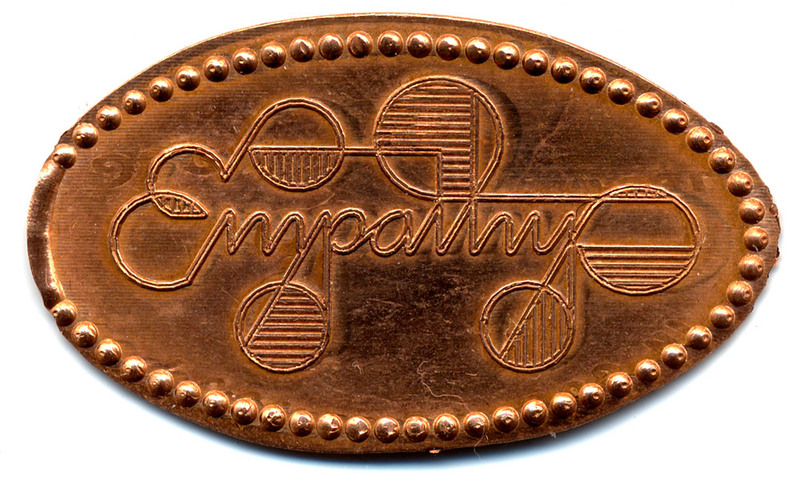 Ultimately I decided on “Empathy”, because really that’s all the world needs is a whole lotta empathy, and I imagined that you might look at that Empathy penny from time to time and it might actually influence how you viewed a situation.